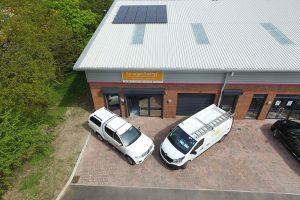 We’ve got some fantastic new aerial shots of the solar installation at our head office in Bamber Bridge. Our solar installation provides enough power to keep our office running smoothly during the summer months, and vastly reduces our electricity bill during the winter. 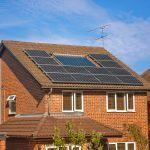 Solar installations aren’t just suitable for residential properties – they’re an ideal solution for businesses looking to reduce their running costs. As businesses are normally open during daylight hours, this means business owners can fully maximise the potential of a solar system.